As we approach the National Science Day (28 Feb, 2019), people passionate about science have one more thing to look forward to. With a vision to ignite a spark in the country’s brightest minds, the TNQ Distinguished Lectureship Series in Life Sciences is due to be held on 11, 13 and 15 Feb, 2019, in Hyderabad, Bengaluru and New Delhi respectively. TNQ is a technology and innovation-driven company in the area of scientific, technical and medical publishing. With its roots in Chennai, the company specializes in services and designing of technology for scientific publishers. In 2008, Mariam Ram, Managing Director of TNQ Books and Journals, first conceived the idea of the Distinguished Lectureship Series, with the idea of giving back to the community. Ram approached Lynne Herndon, then the President and CEO of Cell Press, who was equally passionate about augmenting public access to science. Together, Ram, Herndon and Emilie Marcus (then the Editor of Cell) launched the Cell Press-TNQ India Distinguished Lectureship Series in 2008. “The goal is to bring globally renowned scientists from various subfields of life sciences to India, spend a week in different cities, visit different institutions, interact and communicate their research on a global scale with senior and early career scientists,” says Ram. TNQ and Cell Press co-sponsored the series until 2018, now TNQ is the sole sponsor. Apart from providing an opportunity to interact face to face with leading scientists in their respective fields, the event has provided a platform to scientists and students across the country to listen, understand, question and be inspired to be passionate about knowing the unknown. The eight invited speakers from the previous years have hailed from research areas as diverse as immunology, cancer biology, virology, chromosomal biology, stem cell biology, neural physiology, and genetics. The 2019 speaker for the Distinguished Lecture Series is Helen Hobbs, Investigator, Howard Hughes Medical Institute and Professor at the University of Texas, South Western Medical Centre in Life Sciences. A winner of the Breakthrough Prize in Life Sciences, Hobbs has advanced our understanding of the interplay between genetics and dietary food excess, which can lead to lifestyle disorders like atherosclerosis, cardiovascular and fatty liver disease. 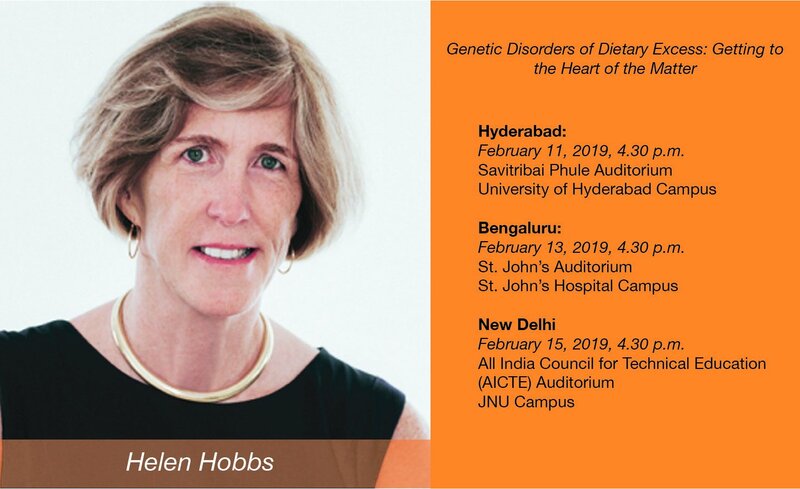 In the upcoming lectures at Hyderabad, Bengaluru and New Delhi, Hobbs will speak about genetic factors that predispose us to lifestyle diseases arising from dietary excess. Registration for the lectures is free and open to all. From the inaugural lecture by David Baltimore in 2008 to last year’s lecture by David Anderson the series has evolved over the years. According to Ram, the enthusiasm among researchers has increased with the lectures becoming more and more streamlined. Baltimore, co-recipient of the Nobel Prize for Medicine in, captivated audiences in 2008 with a lecture on microRNAs and their role in inflammation and cancer. In January 2009, Elizabeth Blackburn from the University of California, San Francisco shared her journey of studying the mechanism behind the protection of chromosomal ends by telomeres and discovery of the enzyme telomerase. Later in the same year, she received the Nobel Prize for Physiology or Medicine. 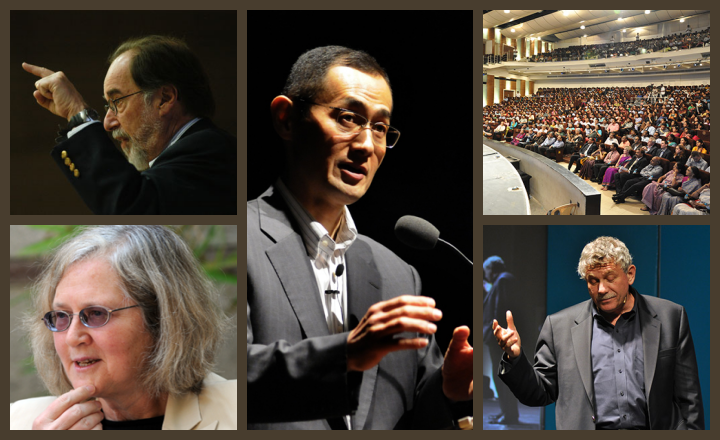 Next, Shinya Yamanaka, an eminent adult stem cell researcher and Nobel laureate, addressed audiences during the 2012 series, challenging the way researchers around the world thought of cellular development. The 2014 lecture was delivered in the memory of visionary scientist Obaid Siddiqui, whose research on behavioural genetics opened up the field to study the genetics of complex traits. Huda Y. Zoghbi, Professor at Baylor College of Medicine and Director of the Jan and Dan Duncan Neurological Research Institute at Texas Children’s Hospital, spoke to packed audiences about our current understanding of inherited neurological disorders. The fifth speaker for the series was Eric S. Lander, Professor at MIT and Harvard Medical School, and principal scientist of the Human Genome Project. During his seminar in 2015, Lander discussed the 35-year old journey of genomic medicine. Next, Karl Deisseroth, Professor at Stanford University discussed two techniques developed by his lab that have changed the way neuroscientists study neural networks. The first of these is optogenetics, which uses light to activate/inhibit brain cells in a highly targeted manner, and CLARITY, which allows imaging of the whole brain by rendering it transparent. One of the pioneers in the field of genetic heritability of breast and ovarian cancer, Mary-Claire King, Professor at Genome Sciences, University of Washington was the seventh speaker of the series. In 2018, David J Anderson, Professor at Howard Hughes Medical Institute Tianqiao and Chrissy Chen Leadership Chair and Director of Tianqiao and Chrissy Chen Institute for Neuroscience, addressed audiences about the neurological foundations of emotions. His work has disproved widely accepted presumptions about innate behaviour of brain circuits that were initially thought to be hardwired but are now known to be modulated by life experience. The TNQ Distinguished Lectureship Series has been well received among researchers with its awareness and excitement increasing yearly. The main aim behind the series has been to expose people from all walks of life – from high school students to established researchers – to latest technologies and advancements in science. “I want to give access to Indian students and want to inspire them to live a life of science,” says Ram. For the tenth lecture next year, the team hopes to reach out to four different cities. These lectures are a step forward to inspire students to forge a career in science. Making the best use of their access to such seminal scientists, Cell Press and TNQ have given researchers and anyone passionate about science an opportunity to stand on the shoulder of giants. This is something that the Indian scientific community would definitely not want to miss.